Steve is the Director of the Wales Centre for Public Policy and Professor of Public Policy and Management at Cardiff University. Prior to this role he directed the Centre for Local & Regional Government Research, playing a key role in establishing Cardiff University’s international reputation for world leading research on public services and local government policy. He has led more than 50 major research projects and attracted over £20 million in external research funding from research councils, foundations and government agencies. He has worked as a consultant to the European Union, UK Treasury, Cabinet Office, Department for Communities and Local Government, Department for Culture, Media and Sport, the Scottish and Welsh Governments, Audit Commission, National Audit Office, Sport Wales, as well as a range of local governments and voluntary organisations. He was appointed as a Director of the Improvement and Development Agency from 2003-2010, a Director of the New Local Government Network from 2007-2016, and as the Academic Advisor to the Independent Review of Local Public Services chaired by Sir Jeremy Beecham 2005-2006. 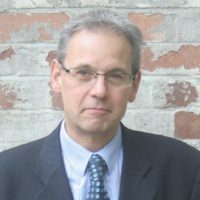 Steve is co-editor of Policy & Politics, a leading international journal, and a member of several other editorial advisory boards. He has published 90 papers in peer reviewed journals and more than 200 policy reports for governments and other agencies. Steve has developed and led graduate and post-graduate programmes at Cardiff, Warwick and Aston Universities and has served as an external examiner of a range of PhDs and Masters programmes in the UK and internationally.